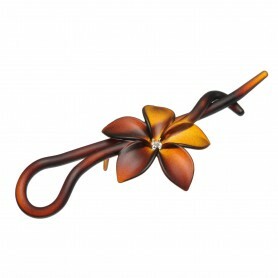 Home / Hairclips and barrettes / Lithuanian Made Hairclip "Busy twins"
Look charming with this elegant and stylish hair clip which combines salmon and dark brown colors as well as shiny luxurious finish. 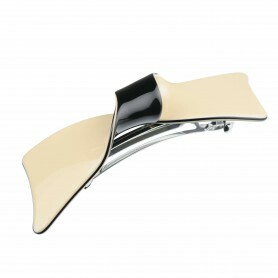 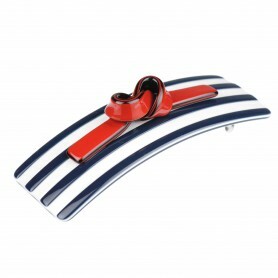 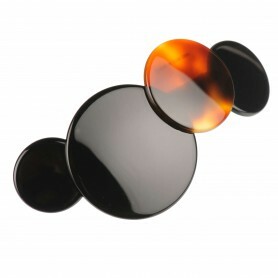 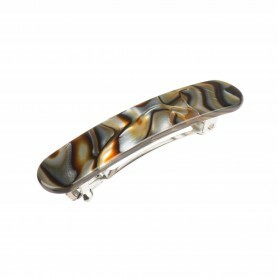 Stylish blend of comfort and fashion this Lithuanian handmade hair clip perfectly suits for evening style. 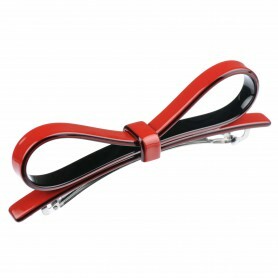 Our hair clip is made of precious bio-plastic, which has up to 95 % natural ingredients such as wood and cotton.